How Will Veronique Inc Help My Business? 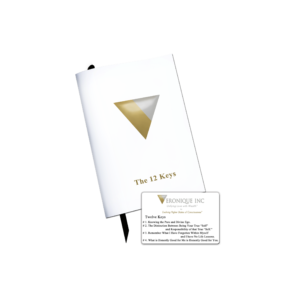 Veronique material and guidance is also highly beneficial to businesses and entrepreneurs worldwide. Her Methodology has been wildly successful when applied within the business world. Veronique can align your sub-conscious communication to increase your brands trust and even attraction new customers. You stand to gain a distinct advantage within your industry by incorporating a powerful mindset shift. She offers specialized programs and training tailored to her business clients. Find out how your business can evolve and grow to the next level by contacting Veronique below. Remember, how you do something is how you do everything. The Service Circle© is a copyrighted tool created by Veronique Inc. Businesses use this tool within their culture to present to their employees the vital importance of being in “service”, from the heart, and how this “circle of service” supports the prosperity and continual operation of our business and ultimately the professional and monetary success of everyone. When we enter into relationships; professional, business, or personal, we have the opportunity to enter from the “point of view” of “serving others.” Through service we are supported in to a consciousness that encourages respect, and gratitude for what we have been given, from the inside-out through the Service Circle© we learn the “art of serving wholeheartedly”, through the joy of giving in an earned and “balance exchange”. The Service Circle© establishes experiences, where it officially conveys that the business first “serves” its employees through its very existence, then the employees “serve” the Clients/Customers through their dedication to them by providing the best in their industry. The clients/customers then in turn “serve” the business by continually returning to receive services, telling their friends and family members. This “service” in the community positively grows a business. Use the contact form to explain your business, goals and current weaknesses.